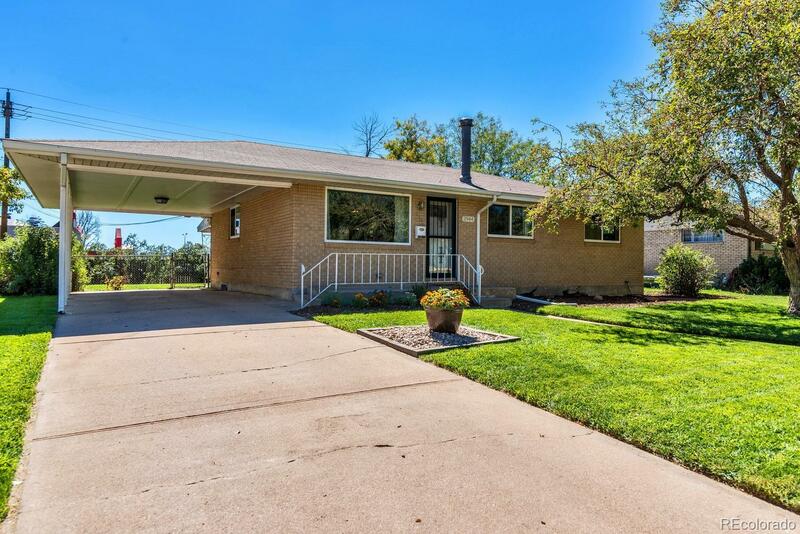 This cute ranch home has been remodeled and shows beautifully! Wood flooring throughout the main floor, tile in kitchen and baths. Kitchen features granite, stainless steel appliances and a hood for the gas 4-burner stove. Pantry will stay and gives more storage for the kitchen. The living room is spacious and the TV and bracket will stay. Newer windows. Master is spacious and has a very cute en-suite master bath with beautiful tile. The basement features a media room, screen will stay, and room is so large, there is room at the other end for a study/den, or you choose what the area could be used for. Basement bedroom has a walk-in closet and a remodeled bathroom that is beautiful! There is a storage room for extra stuff. Great sized yard and has raised garden beds, lilacs and flowers. This home shows very well!